GOD BLESS THE CHILD: RICHIE HAVENS, R.I.P. 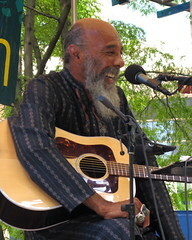 Such a shame; earlier this week on Earth Day, Monday, April 22, folk-icon Richie Havens died of a heart attack. He was 72. Born on Jan. 21, 1941, and raised in the Bed-Stuy neighborhood of Brooklyn, Havens was something of an autodidactic after dropping out of high school and went on to become one of the most celebrated performers, as well as a champion for Human Rights and environmental issues. “In the mid-1970s he founded The Northwind Undersea Institute, an oceanographic children’s museum on City Island in the Bronx. He later created The Natural Guard, an environmental organization for children, to use hands-on methods to teach about the environment” (Martin, 2013). neighborhood to another (Roeser, 2013). Havens with “Paul” of the folk trio Peter, Paul and Mary. When Havens emerged from the Greenwich Village folk scene in the mid-sixties he had something different to offer, and more than simply because he was a tall (six-and-a-half feet) black man in a predominately white scene. Havens quickly distinguished himself with the profound, emotional sincerity he brought to each composition, regardless if he was the composer or not. In fact he was a masterful interpreter of others’ songs, inhabiting them as if they were his own home. With a sturdy holler of a voice that sounds to be some viscous concoction of sweet molasses, gravel, sawdust, and hot ash, all bellowed up from massive lungs of smoked oak, Havens would accompany himself by seemingly flailing his big hands in a highly rhythmic pattern across the open tunings of his acoustic guitar. 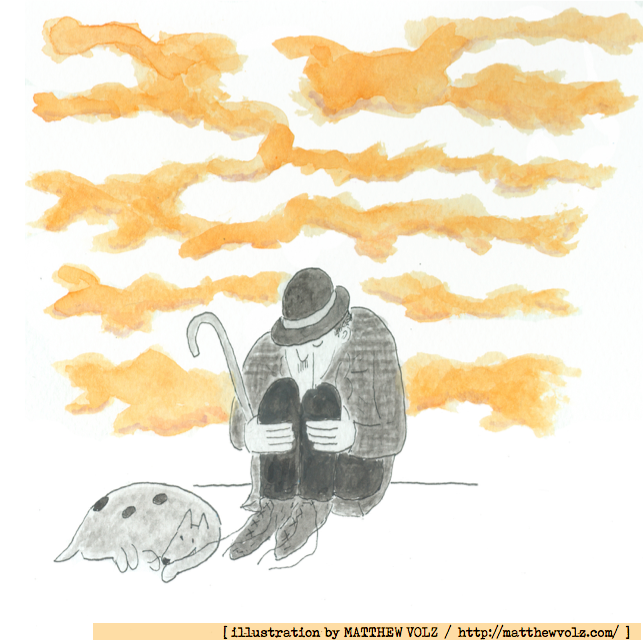 He always seemed tender without appearing frail, wise without being pedantic. His performances were welcoming, like a smile. Around 1965, Havens recorded Henry Glover’s blues classic “Drown in My Own Tears” (made famous by Ray Charles in 1956 when it became his third number-one single on the Billboard R&B singles chart). Although it would not be released until 1968 after he had received a certain degree of fame, this recording perfectly demonstrates the expressive command and integrity a young and unknown Havens could bring to anothers material. Havens eventually began to make his presence known through his commitment to performing. As he later recalled of these years, “we played three coffeehouses a night, 14 sets a night, 20-minute sets, pass the basket, stay alive. I was there seven and a half years, every day. It was the most incredibly magic, magic time” (Roeser, 2013). Soon, Havens would catch both the ears and eyes of the reigning king of the scene (if not The Sixties in general), Bob Dylan. 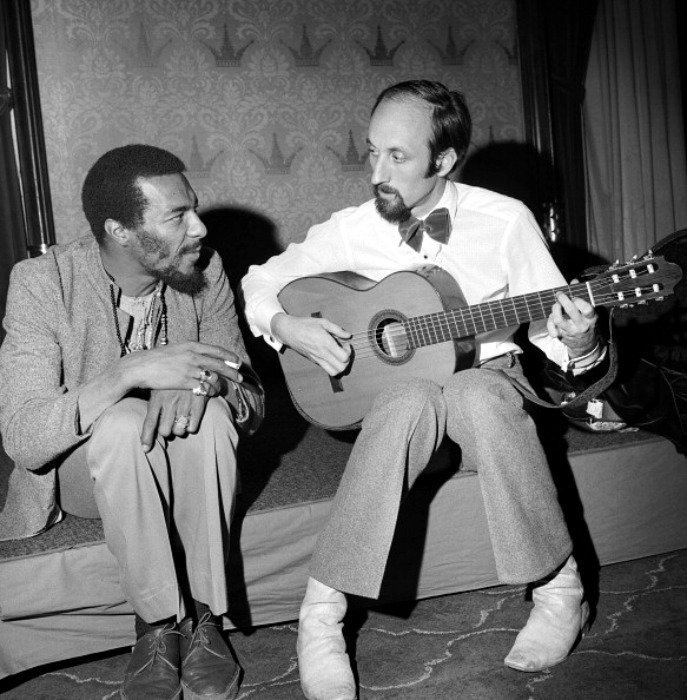 As Dylan wrote in his 2004 memoir, Chronicles: Volume One, “One singer I crossed paths with a lot, Richie Havens, always had a nice-looking girl with him who passed the hat and I noticed that he always did well.” After signing with Dylan’s manager, Albert Grossman, in 1967 Havens released his breakthrough LP, Mixed Bag. It would feature tracks such as a cover of The Fugs song, “Morning, Morning,” written by that group’s Naphtali “Tuli” Kupferberg; Jerry Merrick’s epic “Follow;” and a song that Havens co-wrote with Oscar-winning actor Louis Gossett Jr., “Handsome Johnny,” which you can check out below. 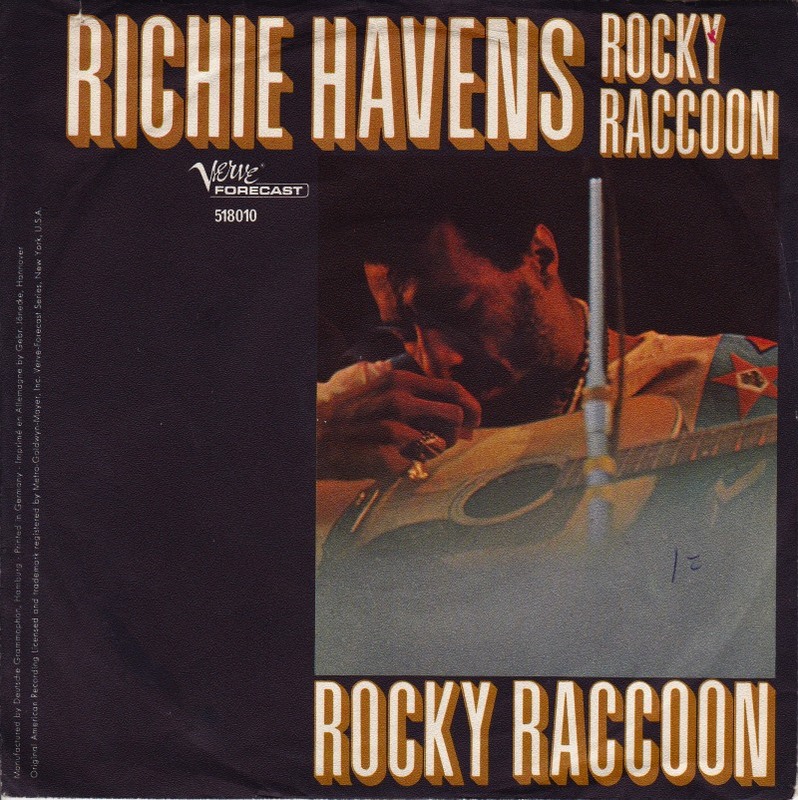 In May of 1969 Havens would release the impressive double album, Richard P. Havens, 1983, which features a combination of studio recordings and material recorded live in concert, in July of 1968. Other than its inspired interpretations of tunes by The Beatles, Donovan, Leonard Cohen, and Bob Dylan, the LP features a lunge into new sonic territories with such originals as “Indian Rope Man,” “Just Above My Hobby Horse’s Head,” and a Hindu-heavy song whose title perfectly captures the ethos of Havens’ life, “Putting out the Vibration, and Hoping It Comes Home.” The frenetic, psychedelic fuzz & stomp of “Stop Pulling and Pushing Me” was released as a single in July of that year. This single was split with a live performance of Havens’ tackling The Beatles’ “Rocky Raccoon.” Here, scuffing the song’s pretty veneer as he rides every hop-along and bumbling curve of Paul McCartney’s tune at a frantic clip, Havens makes it seem as if this were one of the most important song ever written. Richard P. Havens, 1983 itself ends with an extended burning groove of a righteous anthem: “Run, Shaker Life/Do You Feel Good?,” which is based on a Shaker dance song by elder Issachar Bates. Beginning a few minutes after 5 p.m. on Friday, August 15 of 1969, Havens would have his career defining moment when, as scheduled act Sweetwater were stuck in traffic, he was asked to open the Woodstock Festival instead. Originally intending to play only four songs, the next few acts were all running late so he was implored to play on. Eventually, well into what would end up being a two-hour set, Havens ran out of material. “I sang every song I knew, and when they asked me to go back on one more time, I improvised ‘Freedom,’” Havens told CNN in 2009. “When you see me in the movie tuning my guitar and strumming, I was actually trying to figure out what else I could possibly play! I looked out at all of those faces in front of me and the word ‘freedom’ came to mind.” Backed by a second guitarist and conga player (his bass player too was stuck in traffic), in an urgent, cyclic growl Havens began to chant that word—Freedom—over and over again as the impassioned strum of his acoustic guitar surged over the crowd. Without even the slightest dip in intensity he let this mantra slip into the familiar lines of gospel pathos from “Sometimes I Feel Like a Motherless Child.” It’s hypnotic and earnest; it makes you feel. “My fondest memory was realizing that I was seeing something I never thought I’d ever see in my lifetime—an assemblage of such numbers of people who had the same spirit and consciousness,” he would recall (Browne, 2013). 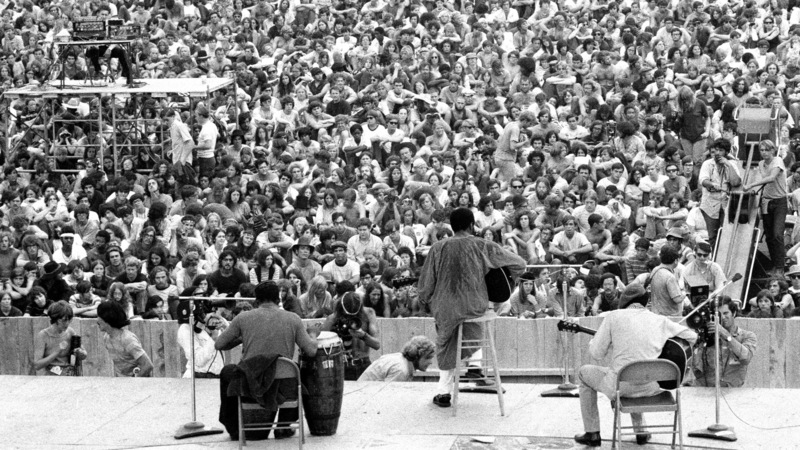 This summer, his family and estate plan to spread his ashes across the field in Bethel, Sullivan County, where the Woodstock festival was held. 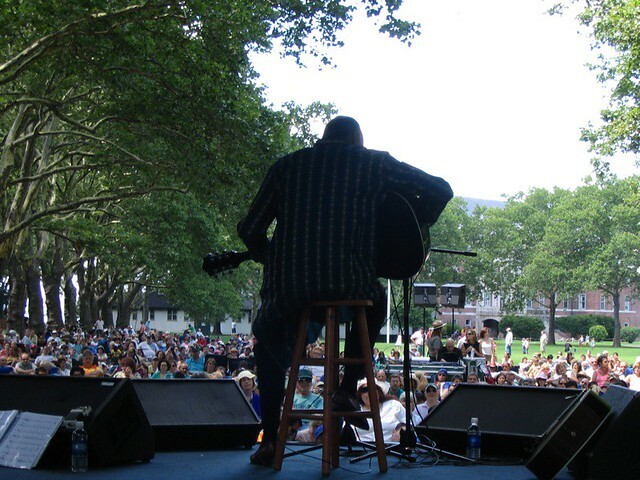 I was fortunate enough to see Richie Havens perform live in the summer of 2007. On a clear blue day at the tail end of July we sat in a large swathe of sunlight and green grass on Governors Island. 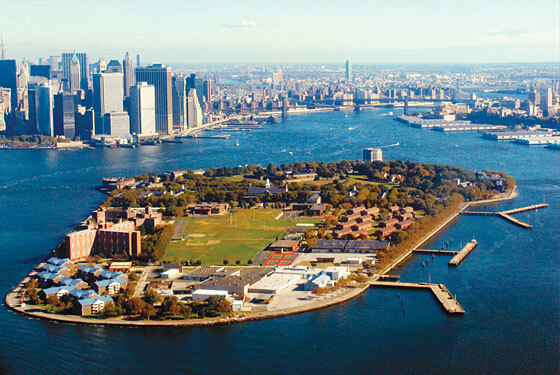 With its rolling green fields and old forts of red sandstone set in the Upper New York Bay, roughly one-half mile from the southern tip of Manhattan Island and barely separated from Brooklyn by Buttermilk Channel, Governors Island is one of those rare, remote places in New York City where you can completely forget where you are. This sort of easy-going slip between the quotidian and the metropolitan was only heightened by Havens’ performance that day. Although his torso was draped in a dashiki of blue and white it did little to hide his striking height. With his colossal hands bedecked by thick rings of turquoise and silver and with his long grey tufts of a beard, Havens appeared as if he were some sort of shaman. However, any imposing sensations his figure might have created were immediately brought to ground when he shared that kind smile and began to play. It was as if the world’s grandfather had entered into the comfort of your living room to entertain you personally with some songs and some wisdom, but most of all, he wanted you to feel good. Havens seems to be an artist who has always understood the symbiotic relationship between performer and audience, and how healthy it can be for all when approached with the right attitude. His voice and presence seemed like an aged structure of durable lumber, perhaps it revealed where it had grown worn and weathered through the years, and yet you felt secure within it. Havens as “Old Man Arvin” alongside actor Marcus Carl Franklin who portrays 11-year old hobo and troubadour “Woody” in 2007’s I’m Not There. I’d like to send Richie Havens off with what has always been one of my favorite performances by him: his beautiful rendition of the “sacred and profane” (Friedwald, 2006) tune by Billie Holiday and Arthur Herzog, Jr.—“God Bless the Child.” Released in 1972 on his live LP On Stage, this performance, to me, is just breathtaking. “I’m going straight into what I’m doing. The direction for my music is heaven, of course. We gear all things to the realm of heaven – which is the mind, the organized mind. Everything I want to do, and to accomplish is on the other side of the universe. That’s peace of mind, energy, freedom. And I’m making myself ready to go, joyfully and willingly. I think I’m ready to be everybody’s friend, and to do anything for anybody. It’s heavy”—Richie Havens (Glazier, 1968). Your warmth will be missed by the community. Dylan, B. (2004). Chronicles: Volume One. New York: Simon & Schuster. Friedwald, W. (1996). Jazz Singing: America’s Great Voices from Bessie Smith to Bebop and Beyond. Da Capo. This entry was posted in Bob Dylan, Ray Charles, Richie Havens, The Beatles and tagged a mouthful of pennies, Albert Grossman, Arthur Herzog Jr., Billie Holiday, Bob Dylan, Bobby Calero, Chronicles: Volume One, Dana Tynan, Donovan, Drown in My Own Tears, elder Issachar Bates, Follow, Freedom, God Bless the Child, Governors Island, Handsome Johnny, Henry Glover, I'm Not There, Indian Rope Man, Jerry Merrick, Joan Baez, Just Above My Hobby Horse’s Head, Just Like a Woman, Leonard Cohen, Louis Gossett Jr., Marcus Carl Franklin, Mixed Bag, Morning Morning, Naphtali “Tuli” Kupferberg, On Stage, Paul McCartney, Putting out the Vibration and Hoping It Comes Home, Ray Charles, Richard P. Havens1983, Richie Havens, Robert Calero, Rocky Raccoon, Run Shaker Life/Do You Feel Good?, Sometimes I Feel Like a Motherless Child, Stop Pulling and Pushing Me, Sweetwater, Tavia Nyong'o, The Beatles, The Fugs, The Natural Guard, The Northwind Undersea Institute, Todd Haynes, Tombstone Blues, Woodstock Festival on April 28, 2013 by Robert Calero.